By the turn of the 19th century, colonialists and explorers transported African art to Europe. Having stolen or otherwise obtained the items, the works were often sold to pawn shops or trinket stores. However, after time the creations gained artistic appreciation and were showcased in a variety of galleries and added to personal art collections. Maurice de Vlaminck, André Derain, and Henri Matisse, and Pablo Picasso were all known to have collections of art from Africa. As the world broadened, exposure to the artistic works of other cultures heavily influenced the future of Western Art… so let’s take a further look into the response of Modern painters towards African art. Here were representations of the human form that focused on the spiritual and eliciting emotion rather than achieving accurate, literal representations. 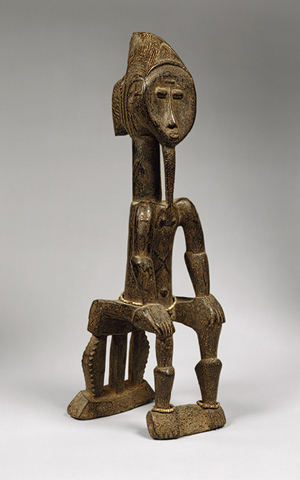 Referred pejoratively as “Primitive Art,” these artifacts were not seen as having artistic value until the Expressionist and Fauvist painters and sculptors started collecting the works and creating their own art heavily influenced from these African forms. Even without any understanding of these distant cultures, Western artists could sense the spirituality evoked from these avant-garde forms. With their other-worldly, exaggerated, elongated, transformed and imaginative representations of human features – African art transported the viewer outside of the literal everyday. 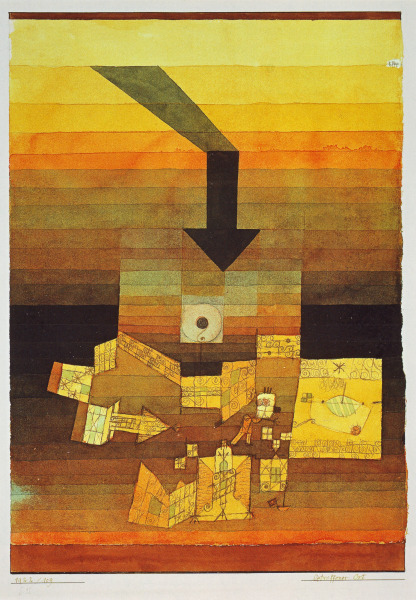 Freed from the restrictions of depicting naturalistic representations of the corporal form, artists tapped into their imaginations and into their own spiritual sides as they created art from visions within the human mind and soul. Tapping into unknown cultures, drawing inspiration from the works of “isolated” communities, certainly one thinks of the profound impact exposure to the quilts of Gee’s Bend had on the birth Modern Quilting movement. 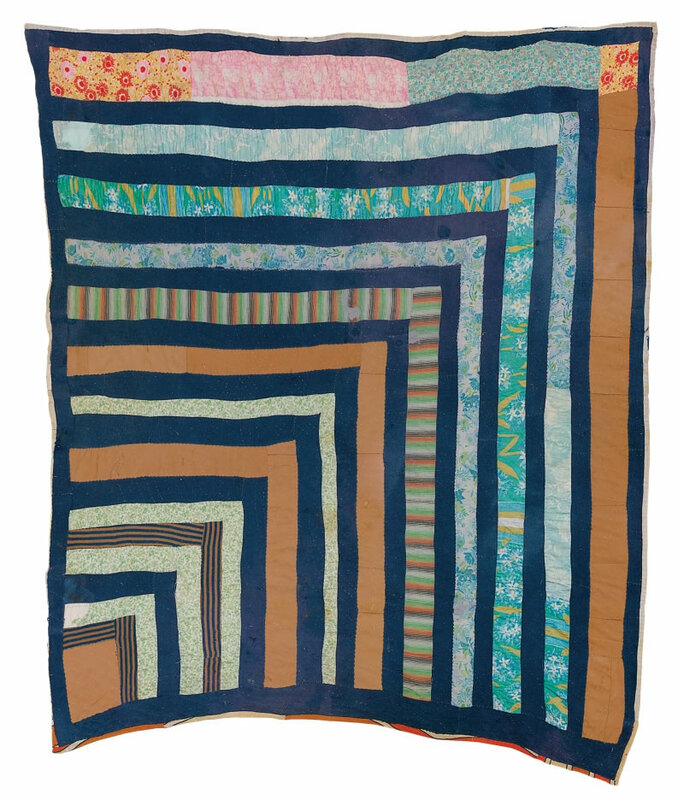 Living in rural, geographically isolated Gee’s Bend, Alabama, a society of hard-working women used what fabric scraps were available to create glorious, graphic, imaginative quilts in order to keep their families warm. “The compositions of these quilts contrast dramatically with the ordered regularity associated with many styles of Euro-American quiltmaking. 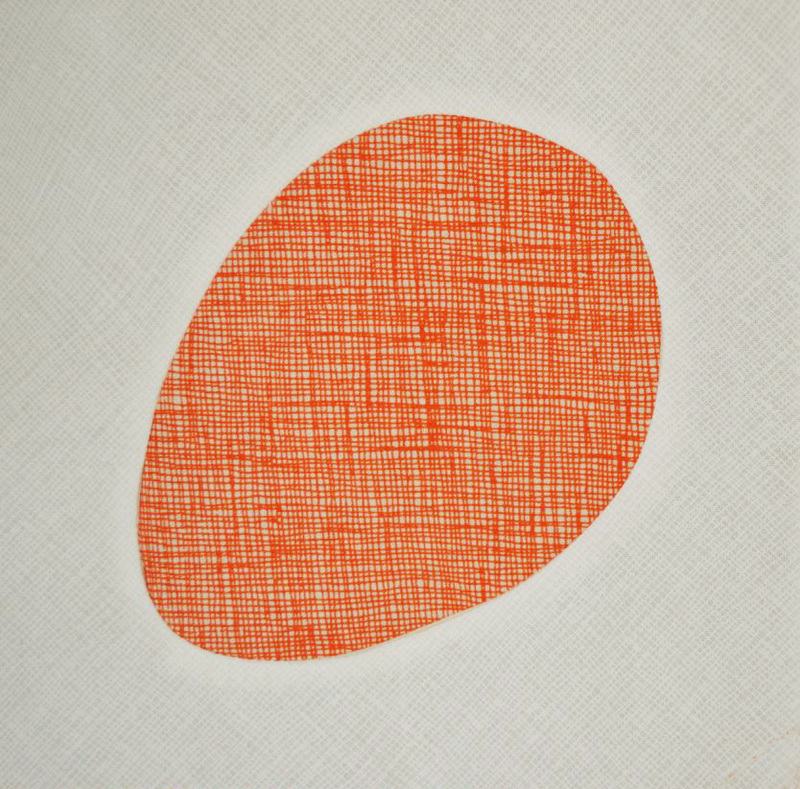 There’s a brilliant, improvisational range of approaches to composition that is more often associated with the inventiveness and power of the leading 20th-century abstract painters than it is with textile-making,” says Alvia Wardlaw, curator of Modern and Contemporary Art at the Museum of Fine Arts. The world of quilt making was forever changed after the discovery (and subsequent exploitation – can I say that?) of these magnificent creations, heavily inspiring the work of Modern Quilting founders including Denyse Schmidt – check out THIS QUILT and THIS ONE. 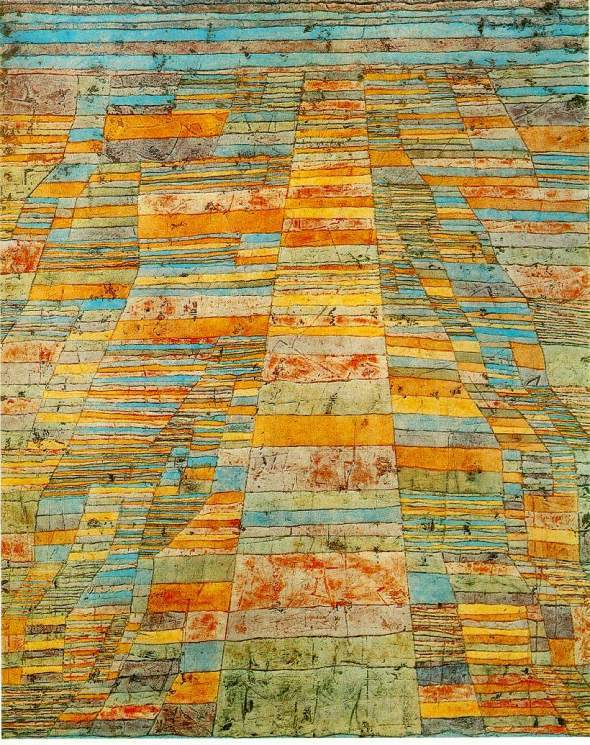 In today’s Lessons in Modern Art for the Modern Quilter, it’s time to Express Yourself! That’s right, we’re at the period of emotional, introspective art that emerged from 1905 throughout the early 1930s that we know as Expressionism. 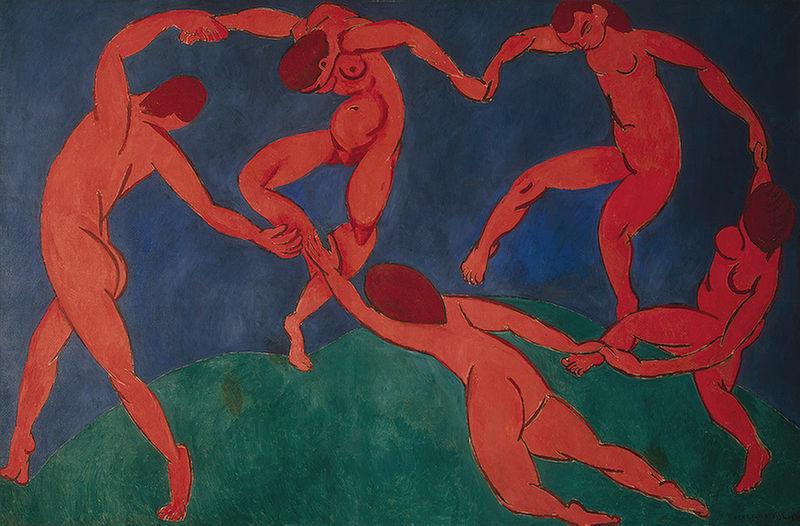 The Expressionists continued the style of symbolic color usage popularized by the Fauvists. However, these new painters turned to inspiration within their own emotions rather than their literal surroundings. Increased urbanization, as well as the frightening, alienating experience of war created a sense of heightened emotions that started to take prominence in the work of these artists. The subject matter of these pieces became more abstract and sometimes completely isolated from the task of describing physical objects. This was truly the birth of the abstract art movement. 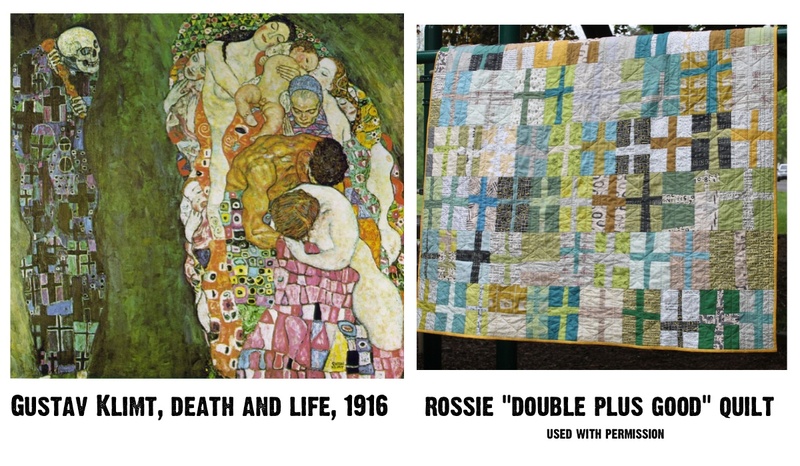 There are many wonderful Modern quilts that reflect the work of these Expressionists. All of the bright string quilts featured in THIS FLICKR GROUP are reminiscent of the color studies of Kandinsky. Although all of the blocks share the same basic pattern and the color-scheme is relatively monochromatic, the brilliant composition absolutely illustrates the desired “tipsy” emotion. This quilt is playful, liberating, merry-making, and go home T blocks cause you’ve definitely got the spins! 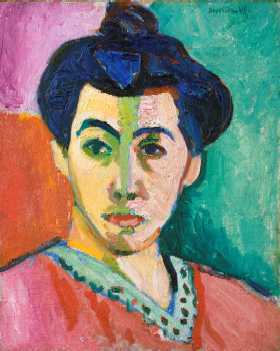 In today’s Lessons in Modern Art for the Modern Quilter, we mix it up with the “Wild Beasts!” … It’s Fauvism! 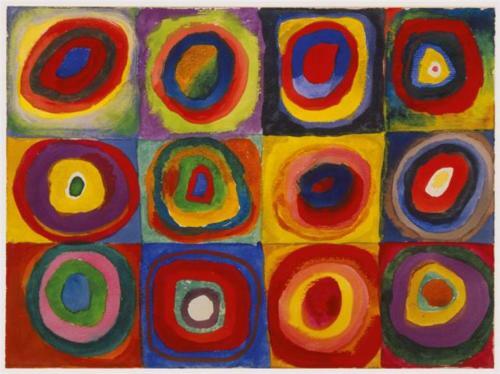 From about 1899 – 1908 a group of artists get even more bold with their color choices and the abstract nature of their art. 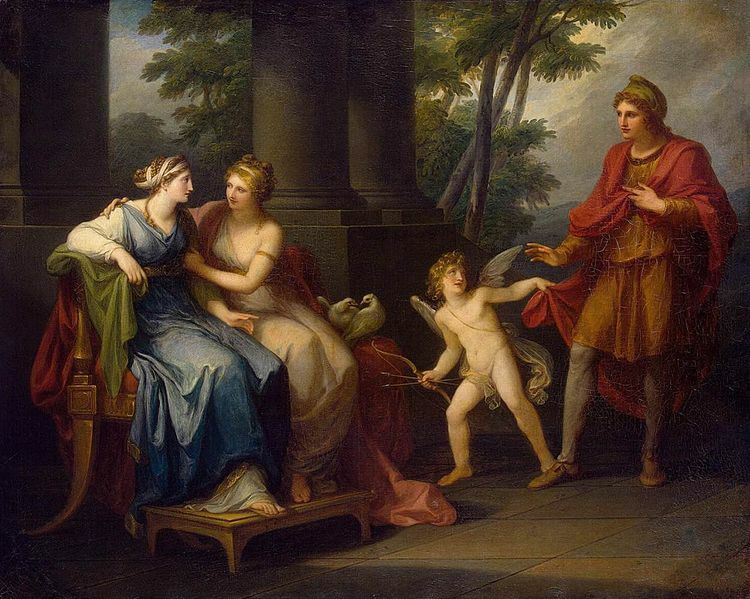 The compositions of these paintings were simpler to accommodate the unnatural and vivid colors. There was no concern for if the colors were “realistic,” but rather if the paint choices represented the mood the artist was trying to convey. Here, the colors of the paints were chosen for symbolic purposes and to stir emotion. I want to include these pieces here, eventhough they were not created until the 1940s and 50s. 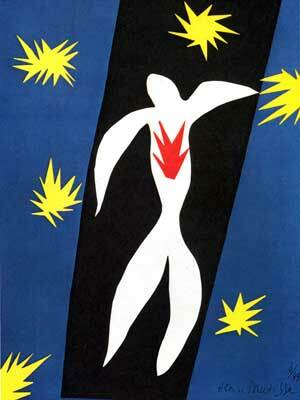 In the 1940s Matisse became sick with cancer and had to undergo several surgeries. 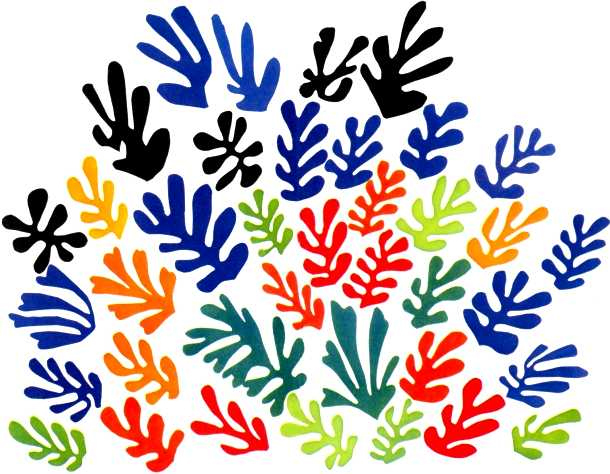 Life in a wheelchair did not hinder his art, as Matisse began to create beautifully vivid paper-cutout pieces called gouaches découpés. I also wanted to include a picture of this brilliant quilt (blogged here – image used with permission) as an example of the power of color choice. This is a beautiful blanket, made all the more stirring by it’s use of highly contrasting solid fabrics. Although perhaps not unique to Modern Quilts, the saturated nature of solid fabrics common in Modern projects reflects the appreciation for vivid, bold colors found within the Fauvist movement. 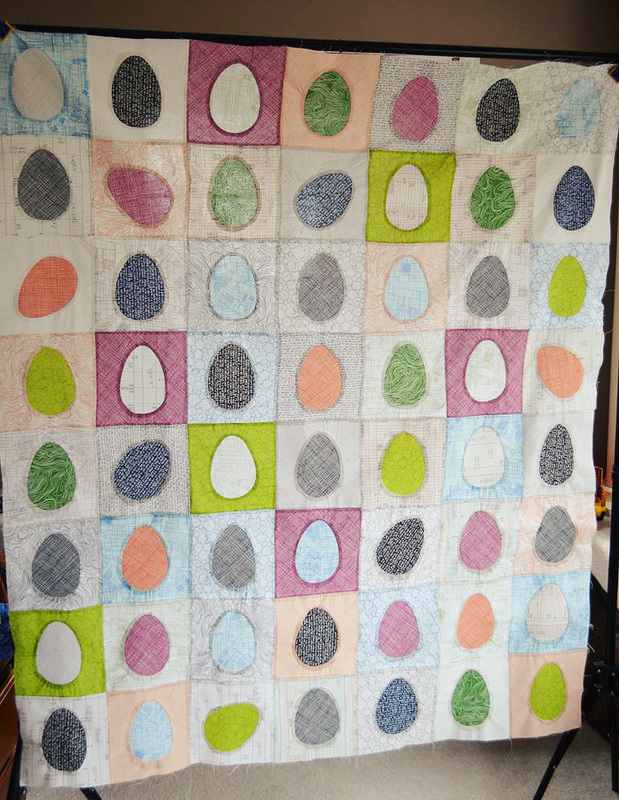 The colors shout “Spring!” and ever since I saw Rossie’s Pebble Quilt, I’ve been hankering to make an egg blanket. I looked good to me, so I went ahead and started making my egg blocks using Rossie’s Applique tutorial. If you’ve seen the Famous Porthole Quilt by Lucie Summers I think this is the method! I verged from Rossie’s tutorial in a couple of places. For one, I didn’t trim the seam allowances before flipping the facing to the back. I found that the facing would flip easier if I had more fabric to convince it to go with the flow. And instead of top-stitching the layers together, I opted to pull out my fabric glue stick and do the Six Minute Circle method. Just a couple dabs of water-soluble glue on the flipped fabric and stick it to your egg. Then you sew along the same line from when you sewed your flipping fabric into place. 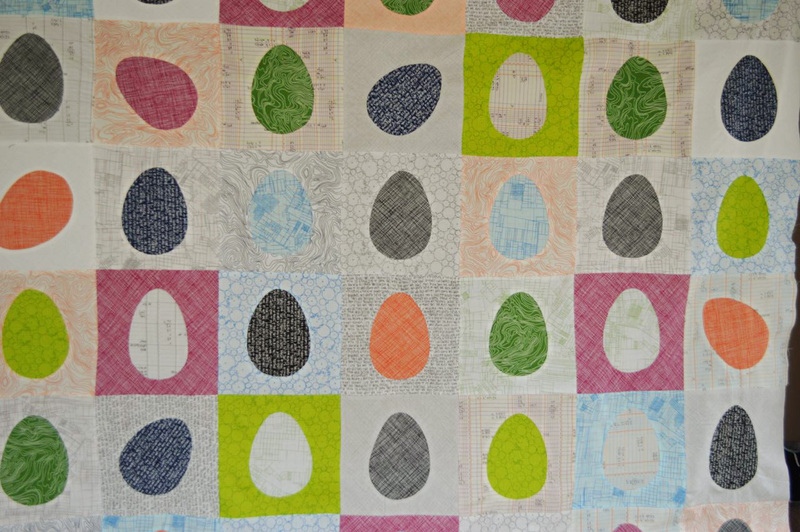 Essentially, you are sewing the seam allowance from the foreground piece to the egg background piece. Go slow. You can do it. After I sewed my facing to the egg fabric, I clipped the seam allowances. Pretty quilt top! Ready for backing and batting and basting and quilting and binding. 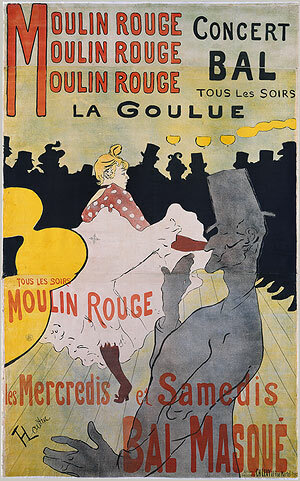 As Impressionism and Post-Impressionism guided painters towards more abstract shapes and away from the glorification of the past, another movement was well underway. 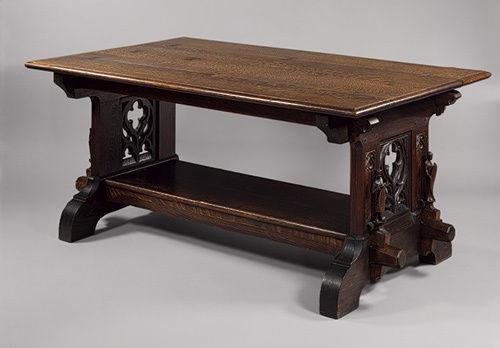 The Arts and Crafts movement is dated from the 1860s – 1910. As galleries and exhibitions continued to value the ornate and ostentatious, artisans started looking for ways to increase the beauty of a home with simple, purposeful, and well-crafted items. Here materials mattered, and function mattered, and ornaments were secondary or viewed as unnecessary. There was a reliance on bold colors and vivid patterns that were exciting without being over-decorated. The handicraft gained appreciation as a reaction against the over-mechanized, industrialized tones of the time. One person creating one good from start to finish was rare in a world where factory lines assembled endless bits of products. 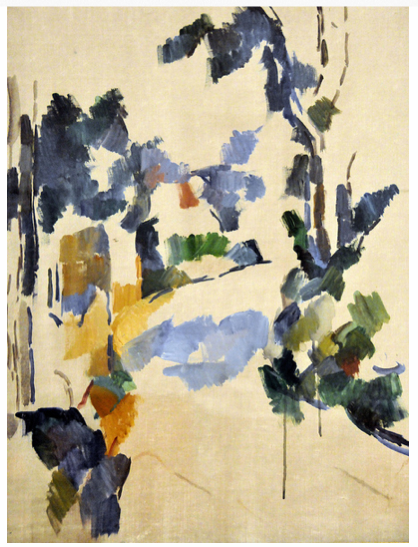 During this movement, we see a trend occurring in the world of painting during 1890 – 1905 that has been classified as “Art Nouveau.” In these paintings we see artists using organic, flowing lines based on what they saw in nature, but creating this style with bold lines and shapes. 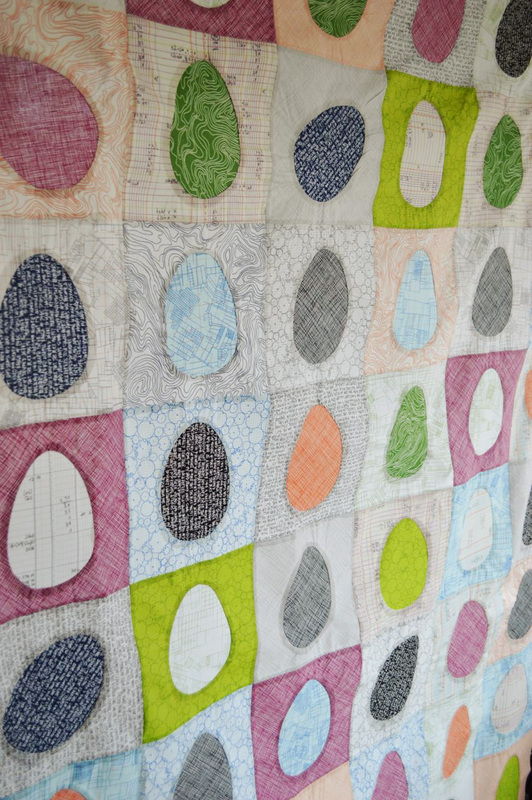 Look at these paintings and see how they are filled with modern quilting patterns. With the wabi-sabi crosses, squares and triangles, certainly we can link our quilting movement to this era in history. Indeed, our projects are not overly ornate. 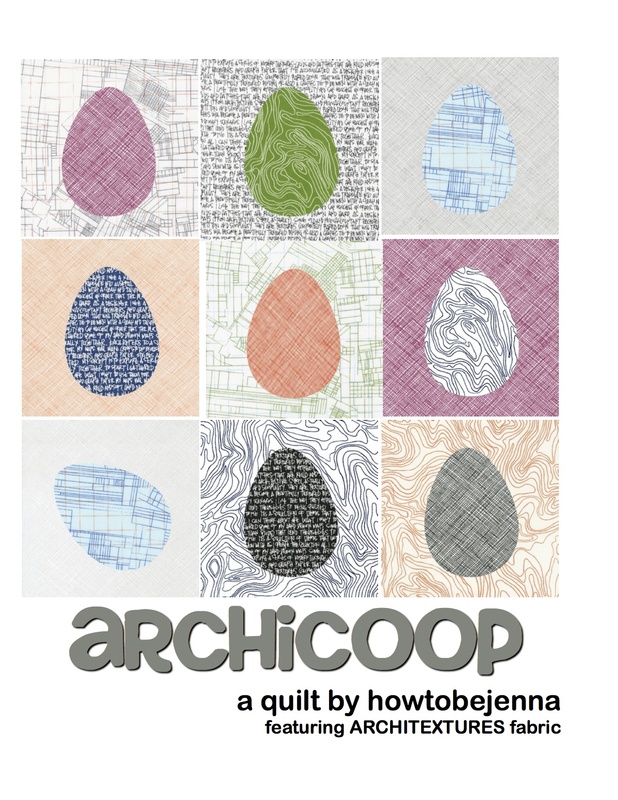 Whereas many art-quilts may employ beading, wires, and glue as decoration, the Modern Quilt is meant to be comforting. Even if hung on a wall as decoration, these blankets are made to warm a space (literally and figuratively). There is a respect given to the “homey” nature of the quilt, rather than an undervaluing. And certainly any quilter can appreciate the valuing of the individually created versus mass produced. The admiration of the individual is especially evident in the world of modern quilting, as improvisational piecing and free-form design means more blankets are made without patterns and can therefore never be precisely recreated. The Post-Impressionists emerged in the 1880s and lasted primarily throughout the 1910s. Can rebels rebel from the rebels? Of course! They do all the time and such was the case with the Post-Impressionists. The Post-Impressionists reacted against the “en plein air” naturalism of Impressionism, and wanted to explore the use of abstract form and pattern – relying less on nature and more on the personal experiences of the self. A style emerged from this unofficial group of painters showcasing more saturated, simple colors and more abstract forms. 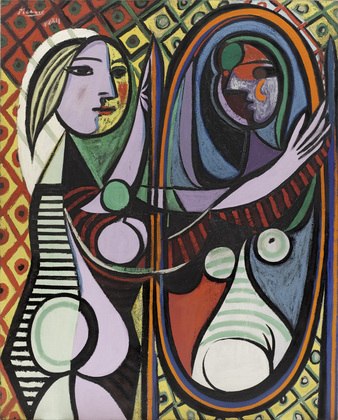 The popularity of the camera was a participating factor in the push towards abstract art. In 1900 Kodak created the Brownie, an affordable box camera that could be easily operated. 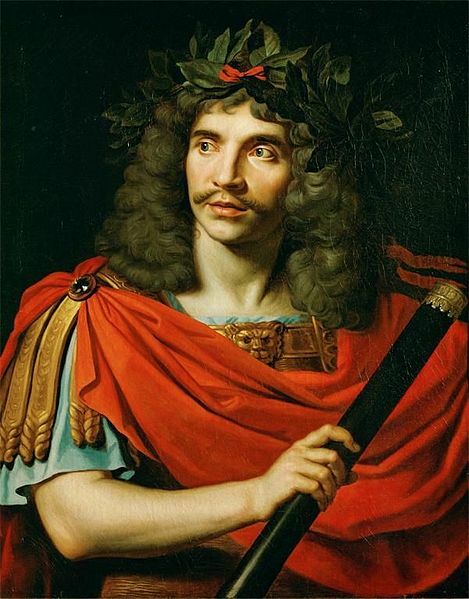 Now many people could own a camera and quickly create accurate portraits with a snapshot, but a painter had the infinity of imagination to represent personal emotions. Looking at this painting, I definitely see a Modern Quilt. The colors are more isolated from each other, there is space to breathe in the composition, and in a sense it appears to be just a glimpse of what we can imagine is a never-ending vision. This painting goes beyond the canvas borders. 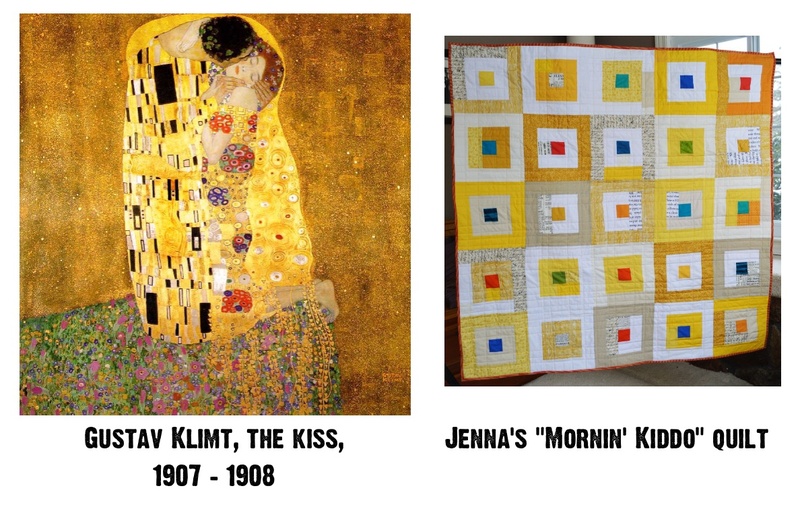 In today’s Lessons in Modern Art for the Modern Quilter, we’ll look at those who could be called the founders of the Modern Art movement, the Impressionists! 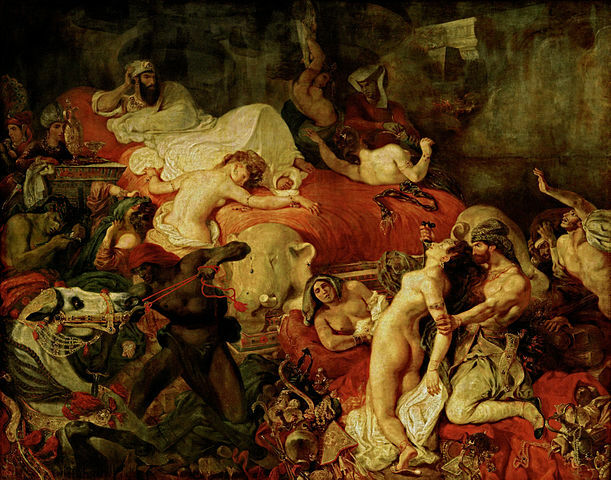 From the 1870s – 1890s there was a longing to break from the traditions imposed by academic artists. The academics valued meticulous details and thought works must looked polished without any visibility of brushstrokes. The Impressionists sought a new way to paint that would better reflect the “now,” rather than idolize historical moments, figures, or religious icons. This was a time after great social upheaval (especially in France) and there was an emphasis on the new, modern way of life. Impressionists looked to capture a moment on their paintings – the brush strokes were hurried and remained visible in the final product. The traditionalists at the time thought their worked looked unfinished and were insulted. Another drastic change was the color pallet used by the Impressionists – light, airy colors were valued above the dark rich tones of traditional artists. These new painters embracing this radical style found it very difficult to be accepted by art galleries. Rejected by the prestigious art houses of the time, the Impressionists had to find their own ways to exhibit their work. 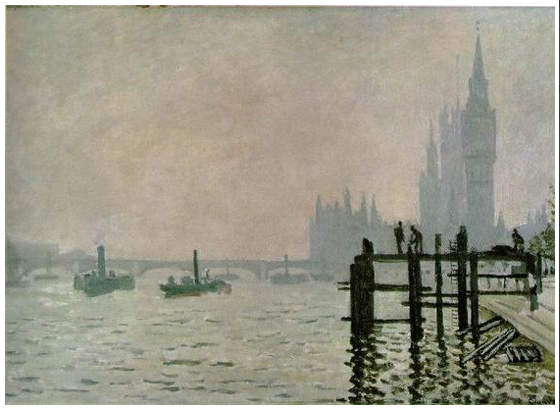 Look at the use of “negative” light-colored space in this painting by Claude Monet, and the unbalanced composition of the docks. The imprecision with how he depicted the boats in the water – there is a freedom from accuracy in favor of emotion. Can we, as Modern Quilters, relate to this desire to step-away from traditional notions of quilting techniques and the traditional quilt composition? When I think of traditional quilts, I see the meticulous piecing, and this is juxtaposed to the loose compositions of modern quilts. The nature of repeated block patterned quilts can create a dark, rich tone to a traditional quilt whereas the use of sashing and negative space in modern quilts creates a lighter pallet. And what can be said about reaching out to the blogosphere in order to find a community willing to embrace the experimentation of modern quilting? 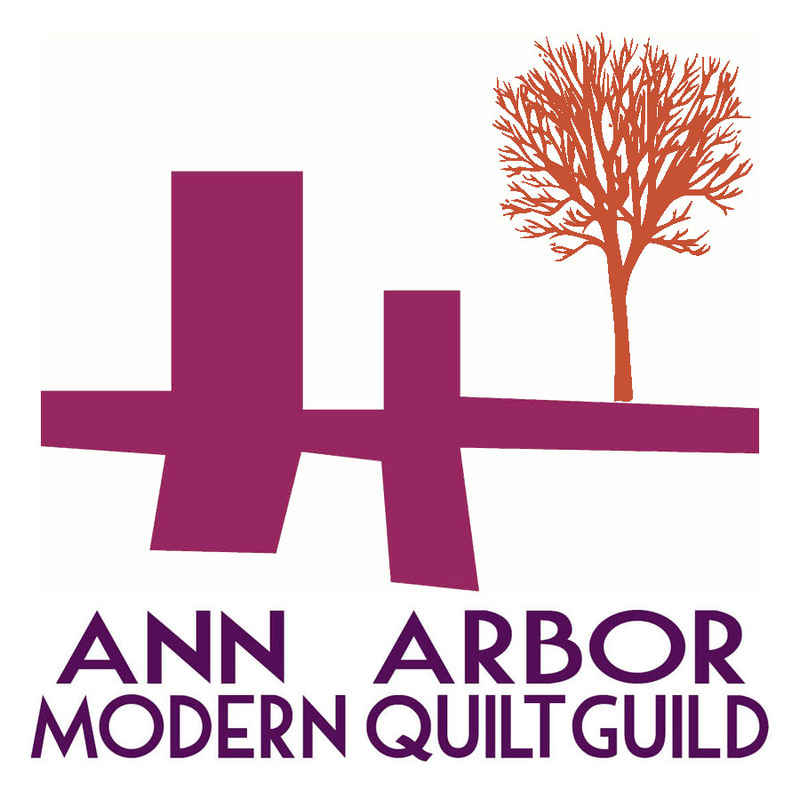 Although traditional quilt guilds may not have “rejected” members for embracing a Modern style, there is comfort in finding a group of like-minded artists rather than remaining an outlier – for many of us this meant turning to the Internet and forming our own Modern Quilt Guilds.